If you’re a serious comics collector, long-time comic enthusiast or savvy comics investor, chances are you own at least a few comics from the 1980s. Although comic books were introduced in 1938 just prior to the United States entering World War II, the comic book industry didn’t really fully mature until the 1980s, which is why 1980s comics are both well-circulated and also highly sought after. The 1980s straddles two comic book ages: the Bronze age and the Modern age. 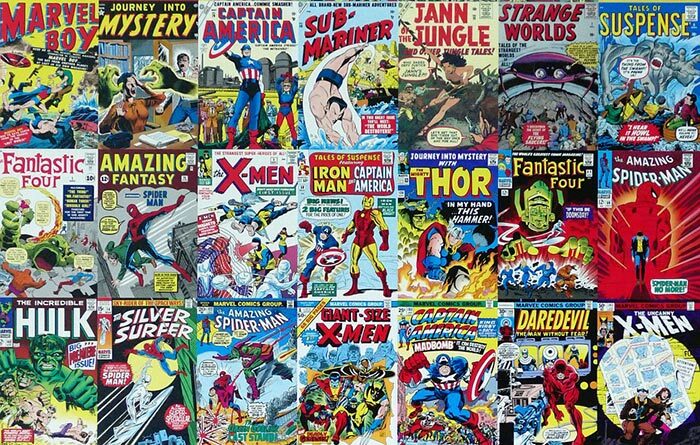 Comics from 1980 to 1985 fall within the Bronze age and 1986-1989 are considered part of the Modern age. No matter where you end up selling your 1980s comic collection, the buyer is going to want to know exactly what you’re selling. Hopefully your comic collection was already stored correctly, as this will make cataloging everything very easy. If not, the next best time to organize and store your comics properly is right now. Not only will it make the sales process easier, but it will ensure that your comics retain their values as best they can. Once everything is organized, put together a basic outline of what you’re selling, including titles, years and condition. The more specific you are, the better. Buyers usually round down on large collections to account for the risk of buying nothing valuable, but if you definitely own some valuable comics within your collection, it’s best that they aren’t hidden. Once your collection is organized and cataloged, you’re going to need to make a decision on where to sell it. Your options include online marketplaces like Craigslist and eBay, as well as local options such as comic stores and pawn shops. It really comes down to a balancing act between how much time and effort you want to put into the sale, how much you want to get from the sale and how quickly you want the sale to happen. Sparkle City Comics specializes in buying 1980s comics. We make the transaction fast and easy for you, and we make top-dollar all-cash offers. Ready to sell your 1980s comics to Sparkle City? Give us a call at 800-743-9205 or fill out our seller inquiry form and someone will be able to help you.